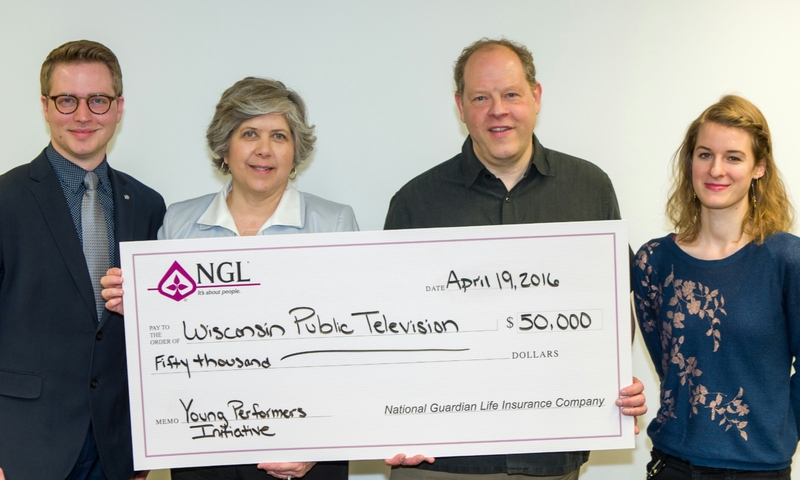 Madison, WI (THE WIRE PRESS) – National Guardian Life Insurance Company (NGL), located in Madison, Wisconsin, is providing a $50,000 commitment to the Wisconsin Public Television (WPT) Young Performers Initiative. “The Young Performers Initiative creates a curriculum for all types of music – from orchestra and band to individual instrument lessons and choir. This initiative gives all teachers access to top-notch lesson plans for all students at any school in Wisconsin. With so many schools facing budgetary challenges, this unique program provides musical opportunity for students who might not otherwise have it,” said Mark Solverud, President and CEO at NGL.